Hubs and I just came back to work from a week "staycation," which was originally supposed to be a trip back to O-town, but plans got changed so we hung around the house/area instead. It was nice because we didn't have any big projects going on and we actually got to rest and enjoy ourselves. It's always hard to get back into the groove. 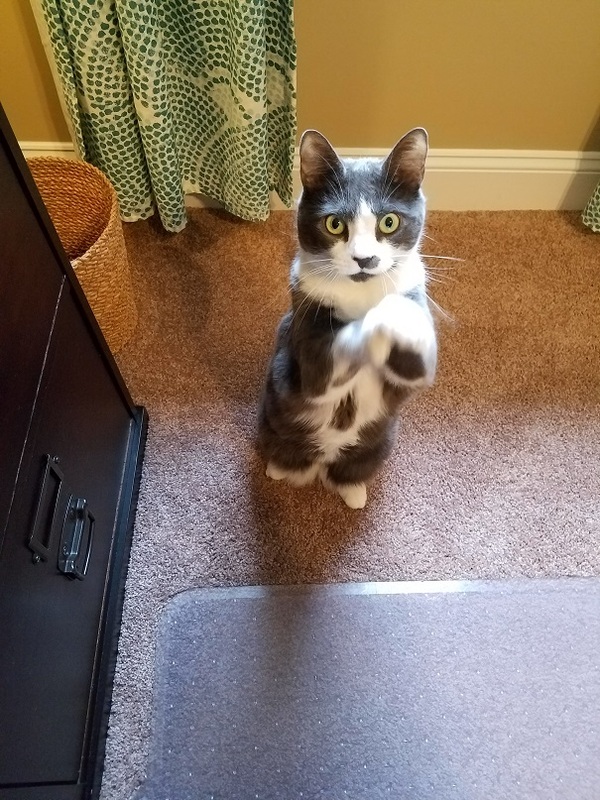 Miss Thang didn't miss a beat; however, and was beside my desk at 4 p.m. begging for dinner. She does this EVERY. SINGLE. DAY.